Suiting is not a one-size-fits-all category. With the embrace of slimmer silhouettes, the advent of uber-functional fabrics that fuse high-fashion with high-performance, and an increased emphasis on tailoring, it’s never been a sharper time to throw on a two-button. It’s a shift that reflects an evolving attitude toward suits as a whole. The once-stiff garment used to have equally rigid parameters, trotted out only for the office and formal occasions. But where we wear a suit, and how we wear it, is changing. Rocking it with causal looks like a T-shirt and sneaks is as acceptable as with brogues and a tie. That’s why fit is so paramount—if the optics are off, then the look will flop, squandering its versatility. But sizing can be fickle. A too-snug fit smacks of pandering to a trend, versus simply being consistent with it; too loose, on the other hand, evinces an out-of-touch stodginess. Luckily, the category’s evolved well past the limiting parameters of narrow-minded size charts, instead delivering makes that square the realities of the measuring tape with front-of-mind-style concerns. Here are the best sizes for whatever frame you bring to the table. 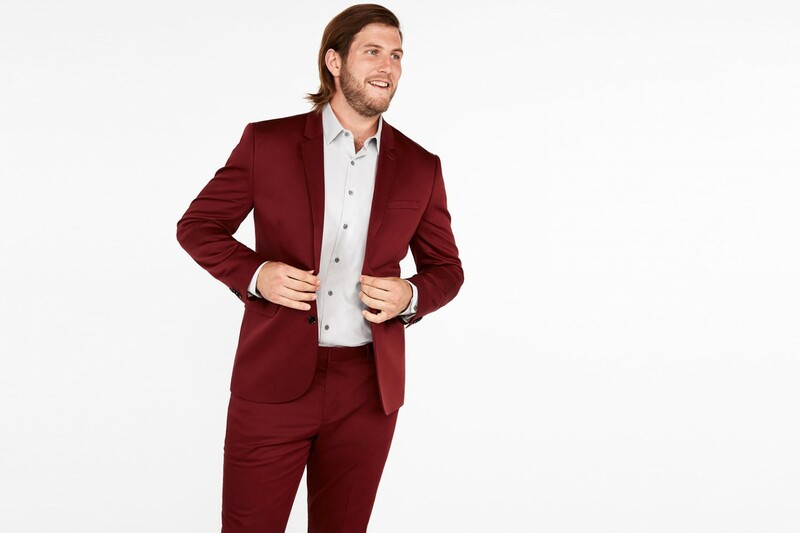 Dudes that have an easier time filling out a suit are faced with the prospect of shoulders, elbows, thighs and other high-impact areas quickly wearing thin. So, if you’re a guy that’s putting up big numbers on the bench press (or squat rack), chances are your suits typically strain in the regions that matter most. 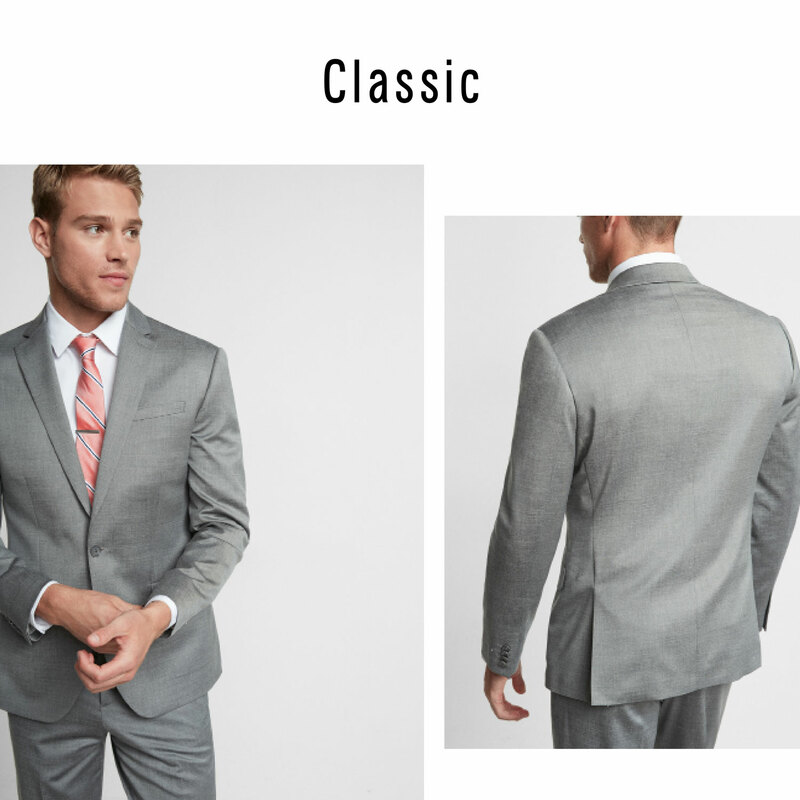 Fortunately, the classic silhouette has modernized, resulting in more real estate where it counts, with a broader shoulder, roomier chest and waist, relaxed thigh and wider leg. Consider this the cut that you can still reach for, decades later—if your kid hasn’t raided your closet for it by then. One of the most noticeable waves in this generation of menswear is the streamlining of men’s suiting. 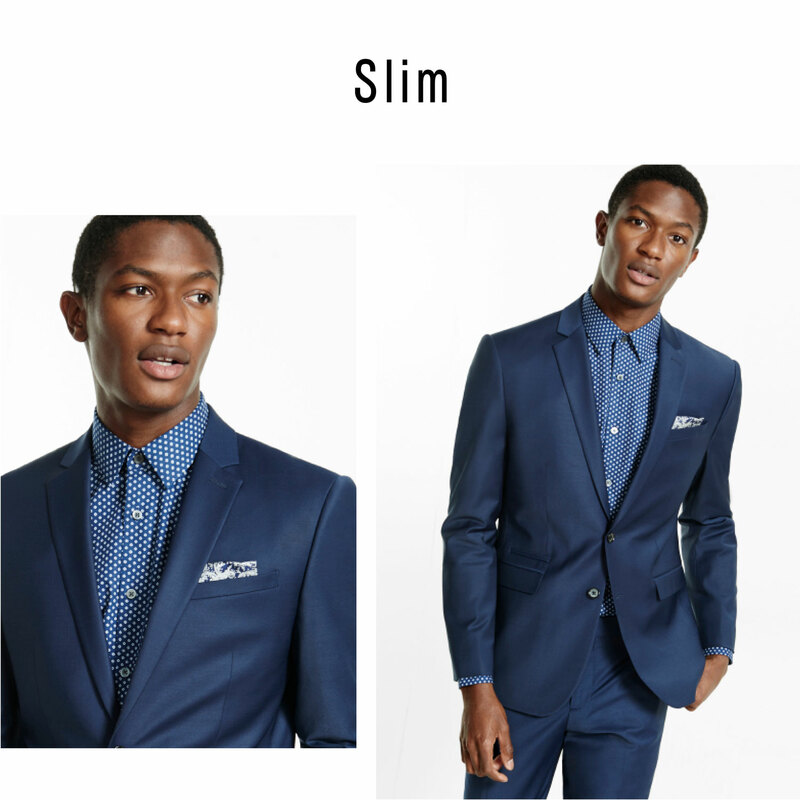 However, guys too often conflate “slim” with “tight,” with the the latter resulting in a suffocating fit that look and feel unbecoming. If you’re on the leaner side, and are concerned about swimming in extra folds of fabric, reach for this leaner make, which touts a fitted shoulder, slim chest, snug waist and tapered leg. It’s a look that’s super of-the-moment, but, by playing up proportions to realize a more confident form, looks as time-honored as any closet classic. Excess is the enemy in just about every area of menswear, but it rings truest in suiting, where a little too much goes a long way. For slighter guys, it can be tough to showcase a lean build without looking wiry. 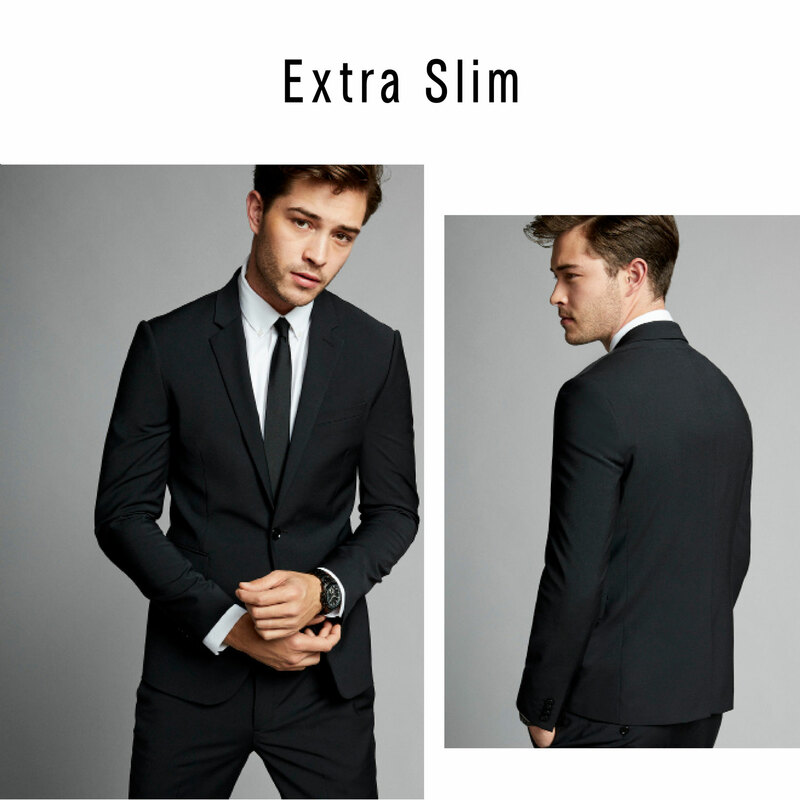 Enter the extra-tailored cut, which takes slim to an even more sophisticated level, bequeathing a narrow shoulder, slim chest, fitted thigh, and narrow leg—all while still having enough give to move above comfortably. Instead of crossing the precarious line between “tailored” and “too tight,” it avoids it entirely by honoring proportion with super-sharp—and self-aware—precision.